Looking to get outdoors and make life easier with your little ones? If so, you’ll need a child carrier. All kid carriers are cleaned and sanitized after every rental, every time. Child Carrier Backpack Rental includes sun and rain covers to protect your precious cargo. 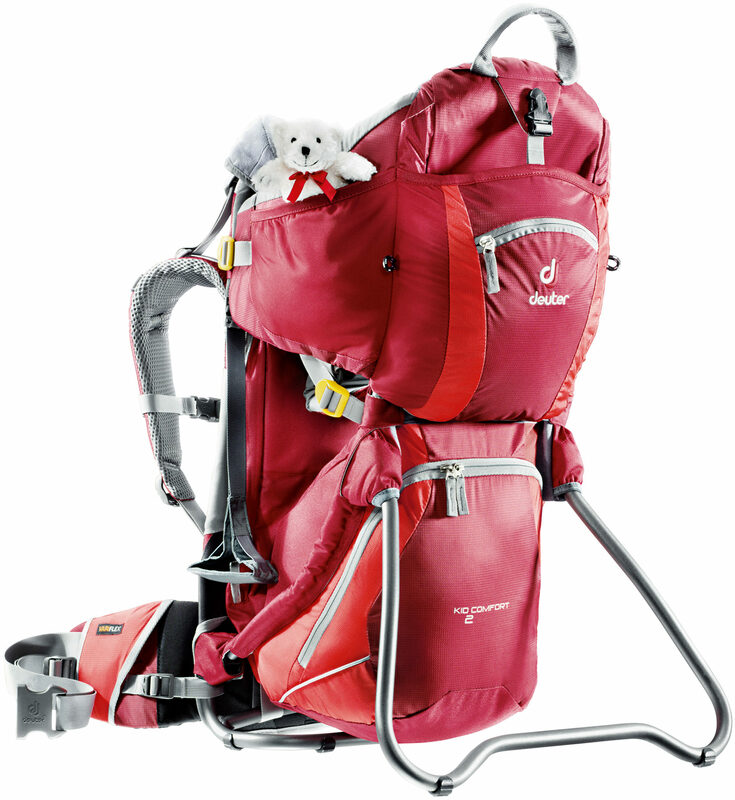 The Deuter Kid Carrier II is considered to be one of the best with its adjustable child seat, storage compartments, ventilation and maximum comfort. This pack is adjustable to fit almost any torso and body size. Parents and kids love it as it adjusts to fit comfortably on almost all adults and the fully-adjustable child seat is effortlessly adjusted even with the child already seated. Juvenile Products Manufacturers Association-certified to assure top quality and safety before you strap in your little one. With the Kid Comfort II there is plenty of storage and the Deuter Aircontact Pro System provides amazing ventilation between the pack and you.